Samsung is getting tough competition from the Chinese smartphone company Xiaomi that is selling high-end devices at the lowest cost and has already gained the number one smartphone brand in the country leaving Samsung behind at number two. To compete with Xiaomi's Redmi Note 5 / Note 5 Pro smartphones, Samsung has announced a new smartphone Galaxy On6 in the Galaxy On series with full-view display but it has a single rear camera. The Samsung Galaxy On6 is priced at Rs. 14490 (around $211) and will be available for sale via Flipkart and Samsung online Shop from July 5th onwards with Blue and Black color options. No details available of its global debut as of now. The design of the Galaxy On6 is similar to the Galaxy S9 series and the recently launched Galaxy J8 smartphone. It carries a bigger 5.6-inch HD+ Super AMOLED 18.5:9 Infinity 2.5D curved glass display with 1480 x 720 pixels resolution and is powered by a 1.6GHz Octa-Core Exynos 7870 processor with Mali T830 GPU. It comes with 4GB of RAM and 64GB of internal storage capacity that is expandable up to 256GB with microSD card slot. It runs on the Android 8.0 (Oreo) out of the box and supports Dual SIMs. It has a single 13-megapixel rear camera with LED flash along with an 8-megapixel front-facing camera with LED flash as well. It has a 3000mAh battery and comes with fingerprint sensor on the rear side below the rear camera. It comes with connectivity options like 4G VoLTE, Wi-Fi 802.11 b/g/n, Bluetooth 4.2 LE, GPS, 3.5mm audio jack and has FM Radio support also available. It measures 70.2x 149.3×8.2 mm and weights 153 grams. 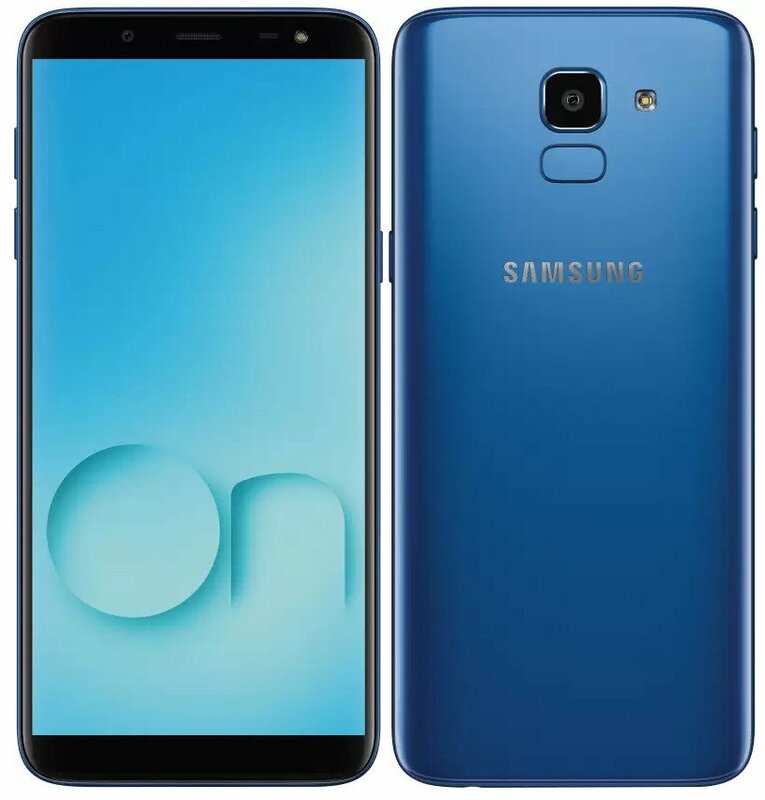 The company recently launched the Galaxy J8 smartphone that comes with a 6-inch HD+ Super AMOLED 18.5: 9 Infinity 2.5D curved glass display with 1480 x 720 pixels resolution and is powered by a 1.8GHz Octa-Core Snapdragon 450 14nm Mobile Platform with Adreno 506 GPU. It has 4GB of RAM with 64GB of internal storage capacity that is expandable further up to 256GB with microSD card slot. It runs on the Android 8.0 (Oreo) OS out of the box and supports Dual SIMs. It features a dual rear camera with a 16-megapixel camera with LED flash, f/1.7 aperture along with a secondary 5-megapixel camera with f/1.9 aperture. It also has a 16-megapixel front-facing camera with LED flash and f/1.9 aperture. A 3500mAh battery powers this device and connectivity options available are 4G VoLTE, Wi-Fi a/b/g/n (2.4/5GHz), Bluetooth 4.2 LE, ANT+, GPS and has a fingerprint sensor sensor on the rear side. It also comes with 3.5mm audio jack and supports FM Radio.